I realized from the last post, that perception is not only to be experienced at the time of the exercise, but as I go along with my day – every day. I can be in-the-moment, at any point in time. But now ready to move forward. Don’t worry, you didn’t miss an exercise called The First Attention. The first attention is actually what you experience everyday, your “normal” life. The second attention is a shift towards a different side of your energy, where you can access the unknown with clarity. D.K. Brainard provides a great post about this here: http://wordsforthepeople.com/2010/07/weeds-and-the-second-attention/. The second attention is what [Carlos] Castaneda called non-ordinary awareness. The second attention could roughly be likened to the dreaming mind, the right-brain style of processing, or the deeper frequencies of mind such as theta (4-7 hz) and delta (1-3 hz). The second attention also includes “the mind that is in the body” — the things we know and experience physically that we often don’t know how to put into syntax. If you’ve ever been kissed so passionately and beautifully that you lost track of time and found your consciousness floating in another world, you’ve experienced this. Other trance-inducing practices such as drumming, prolonged dancing, plant medicines, meditation, yoga, martial arts and the like are designed to access the second attention. As part of the First Attention, we have certain eye-movement coordinates we use when having specific thoughts. Generally, (for right-handed people) we look towards 10 o’clock when we are calculating a mathematical problem, and towards 2 o’clock when recalling a special memory or piece of music. These are basically set. How we will practice the Second Attention is by an eye-movement exercise designed to help recalibrate our neural network to “zero”. This is so we are not automatically geared to just the First Attention, but more able to achieve the Second Attention. As in the video, he demonstrates feeling (or imagining) the luminous threads between your hands and fingers – the tingling, the warmth, or the coolness felt. Practice this a few times to get the hang of it. We will use this ability to sense energy and apply it to our Luminous Energy Field next. There are a number of exercises that will help us to connect our third-eye and heart chakras to our visual cortex. But before we begin, we have to relax that part of us that is logical, practical, and rational. We need to “be” on a purely sensual level – use only your senses. Experience life through your senses without thinking about it, just allow it to flow, flow through you without judgement or reason. First, take your pulse – but don’t count it, just experience it. Use your imagination of how your blood flows, how it looks, where it’s going. Speak to it, ask questions. Become aware of your breath, cover one nostril, then the other. Follow the breath to wherever it goes in your body. How does it feel? What does it sound like? Now use your sense of smell. What do you smell like? Smell different smells and note how it affects you. Touch. Yourself. Someone else. Then focus on your feet. Do things with the opposite hand – feel the awkwardness. Now taste something. Your skin – note if it is salty, bitter, or sweet. Try the water from the faucet compared to different bottled water. Drink and eat very slowly, fully experience the activity. Lastly, close your eyes and listen. Identify as many sounds as you can without looking. Identify tones and volume. 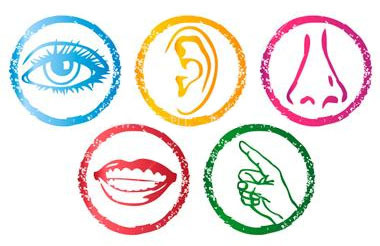 “To practice primary perception, shams have developed a kind of “common sense” that bridges all of the senses. They are able to taste fire, to touch the fragrance of a flower, and smell an image. They attain immediate perception before an experience i divided among the senses, an ability known as synesthesia (p.116). It’s like using each of your senses interchangeably. Coming up – another exercise. Time to apply this knowledge about the Luminous Energy Field and the chakras. “To perceive the Luminous Energy Field and the stories encoded within it, we need only to change the source of the signal and allow the visual cortex to do what nature designed it to do – to create images” (p.111). So how do we do this – easy to say but…? The above video illustrates the normal approach to seeing.The eyes sense an image, and the optic nerve serves as the connector between the eye and your brain. The visual cortex in your brain records what your eye senses. Now to see without your eyes requires “disabling” the eyes and optic nerve. Instead, we replace the eye sensor with the “third-eye” and the heart chakra then connect them to the visual cortex. But how? By using a pathway created outside of the brain. Sounds intriguing – I know. More soon. The plan when I started this blog was to summarize various Energy Healing books – one per per week. But now that I have been at it for a short while, I see I was wrong – way off! It’s going on two weeks now and still on my first book. But really, I’m actually glad about my “slowness”. Need time to really understand the concepts. Feel them out, hold them in my spirit. So very necessary. So what I want to say is that I will cover each book in the time that it deserves. And not be so particular about a chapter each time. Going to be a little more free flowing with my posts from now on…as spirit flows, so shall I.
Chakras, as mentioned in a earlier post, are clockwise spinning orbs of energy – located 3-4 inches outside of the body. Each vibrates at a specific frequency equating to a pure colors of the rainbow. This indicates clarity and optional whole-body/spirit vibration with the Universe. “According to legend when you acquire the rainbow body you can make the journey beyond death to the Spirit world. You are able to assist others in their healing and you can dies consciously since you already know the way back home” (p.73). There are 7 main chakras, the eighth chakra is your connection to the God in us. And when it is clear, it appears like a golden disk – like that seen in paintings of Christ, this light appears like a halo. The ninth chakra is our place in God, the infinite – the part of us that extends out into the cosmos…forever and ever. 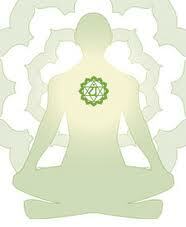 Causay is the nutrient that our chakras need for energy – like food and water for our bodies. 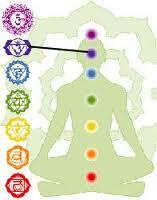 Our chakras must be clear to benefit from Causay. 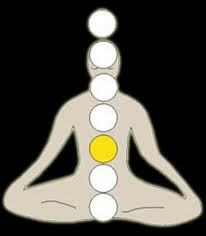 The chakras are divided into those which are primarily energized by either the “earth” or the “sky”. Earth-based religiouns focus on the female – emotion, sensuality, fundamental. Sky-based (or sun-based) religions focus on the male – reason, technology, logic. 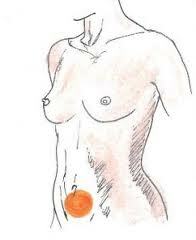 Action: activates the adrenals, stress glands, fight flight reaction. This chakra can use any type of energy as food. Location: At the heart of the Universe – outside of space/time. 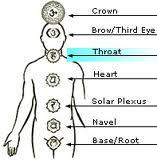 Next, I will look at how shamans use chakras in their work.